Refurbish your dash with Coverlay Dashboard Covers at CARiD! - Ford F150 Forums - Ford F-Series Truck Community. Refurbish your dash with Coverlay Dashboard Covers at CARiD! Have a worn our dash, that makes your interior look tacky? Don't rush to replace it. With Coverlay Dashboard Covers you will be able to freshen up your interior in minutes without spending a lot of money! Coverlay Dashboard Cover is custom formed to repeat the shape of your original dash. It is installed on top of your dash and held in place with silicone adhesive, which is included. Made from thick, durable ABS plastic, it won't crack in extreme heat or cold. Installation can usually be completed in 30 minutes or less with no special tools required. This cover is made from UV-treated materials so it will not fade on the sun. With Coverlay you get a lifetime protection and great looks for your interior without costly dash repair! 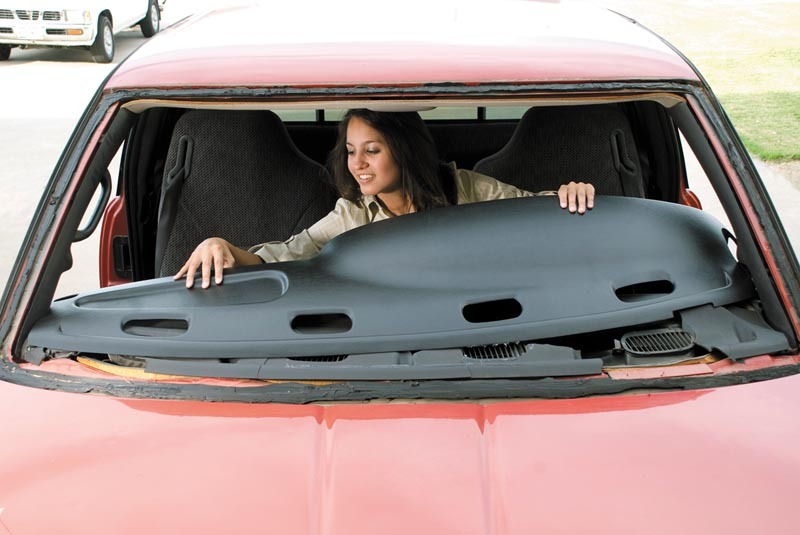 Quick Reply: Refurbish your dash with Coverlay Dashboard Covers at CARiD!